"Temptation" - HoH Valentine&apos;s Day Party &apos;18. Terrace Session at POW. Let&apos;s Start Again ( The Afropolitan Mega Mix). Sophie Barker. London native, Yomster, has been playing music around the world since he was a teenager. He created the seminal Drum and Bass label, Tone Def Records, produced some of the very first tracks of the genre, and worked on the legendary pirate station London Weekend Radio. 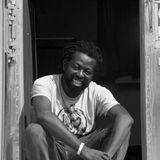 He&apos;s recorded under the titles "South London Massif", Two Dreads In A Dub, Four Horsemen of the Apocalypse, and 2BFree, as well as produced more than 20 dance tracks across various genres. Yomi worked as a producer on BBC Radio and TV, created several reality TV formats, and produces films. Yomi currently plays out at festivals, and private parties in the UK, Europe, and USA.